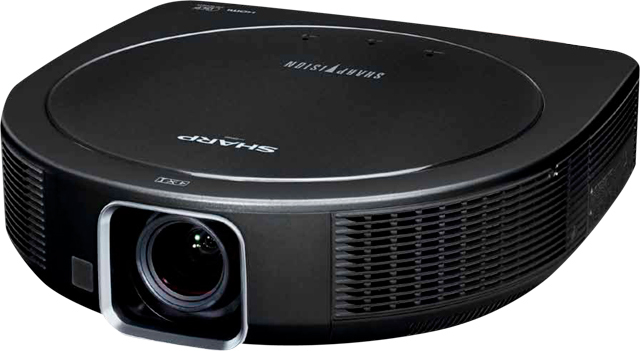 Although the Z30000 is billed as a 3D projector, it performs exceptionally well as in standard 2D mode. Its prowess is particularly noticeable in the impressive shadow detail and stellar black level performance it provides. In other words, the image quality is well above average for a single-chip DLP projector. What’s more, the Z30000 offers a robust feature set, including useful lens shift capabilities, a 2:1 zoom ratio, adjustable 3D specs and long-lasting lamp performance. Compared to 3D single-chip released today, the Z30000 holds its own, and certainly offers some unique specs that many home theater enthusiasts will appreciate. High Contrast Ratio, Dual Irises: The Z30000’s high quality image performance is thanks to a range of technology. First, it’s built with dual irises that deliver some of the best black levels for the price. 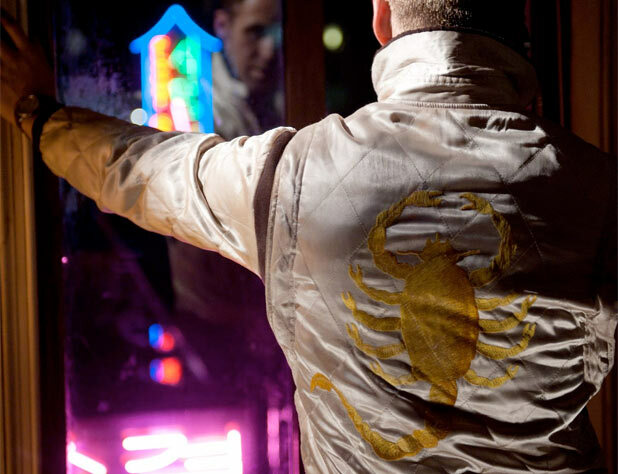 Secondly, the high contrast ratio of 50,000:1 maximizes shadow detail. In effect, the dark images are expressive, crisp and clear, and overall image sharpness, regardless of color, is very good. Adjustable 3D Specs: The Z30000 entered the market when 3D was still nascent in 2012. As a 3D projector, it offers a robust list of 3D features, including 2 sets of 3D glasses, a 3D emitter and adjustable settings. For example, operators can turn off 3D for those who don’t want to watch in 3D, while leaving it on for others. Overall, the high frequency rates create powerful 3D images, but unfortunately, the images become too dim when the screen is above about 100 feet or in higher ambient lighting. High-Speed Color Wheel: The Z30000 is equipped with a 6-segment, 5X color wheel. In general, home theater projectors tend to range from 4X to 6X speed color wheels. At 5X, the Z30000 projector greatly eliminates the rainbow effect, and it’s rarely visible. It’s certainly performs better in this regard compared to 4X projectors. Overall, the Z30000 is ideal for home theater environments. Image quality is excellent, 3D images are rich in most environments, and the feature set is robust. Yet, it is three years old, and the specs aren’t as cutting-edge as they were when the projector was first released. With that said, it’s a powerful projector, but there are other options in the price range that might make sense for some buyers. Looking for a replacement lamp for the Sharp XV-Z30000? MyProjectorLamps is your source. We offer cheap Sharp XV-Z30000 replacement lamps, shipped fast right to your door. The Sharp PG-LX2000 was released in the U.S. in 2012, and at the time, it received high marks for performance, image quality and price. It was a budget-friendly, sub-$1,000 projector that cast brilliant data images. Plus, it was equipped with an HDMI connection – which wasn’t as common then as it is today – and it was lightweight and super portable. Currently, the PG-LX2000 is out-of-production, having been so for about a year, but yet, it remains an intriguing, no-frills set-up that’s still available used and new from resellers. 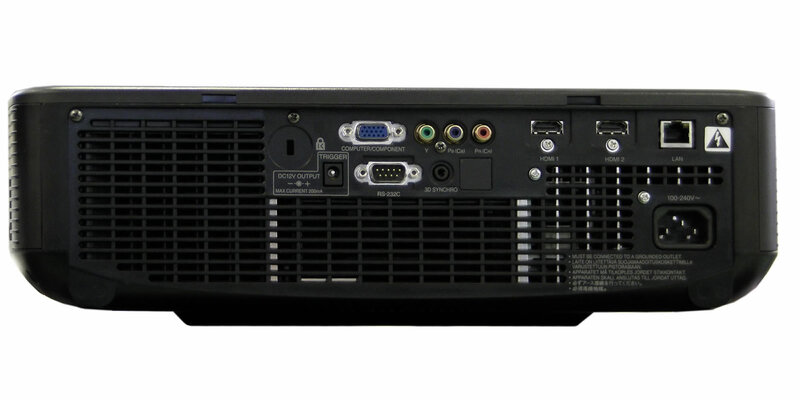 As a piece of hardware for the conference room or classroom, the PG-LX2000 holds its own. Backed up by DLP-chip technology and a 2,800-lumen brightness rating, the projector delivers detailed and striking data images in the native XGA resolution, with passable video. 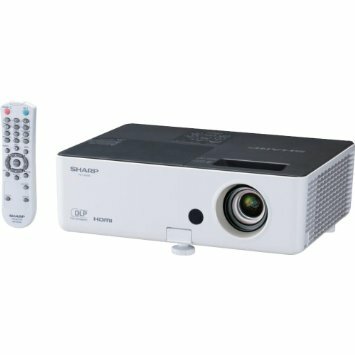 Bottom line: If you can find a new or lightly used PG-LX2000 at a great price, the projector is worth your consideration. Data Image Quality: The PG-LX2000 does best as a data projector, and as such, the data images it creates are crisp, clear with nearly non-existent rainbow artifacts. In other words, if you need a projector for presentations, this one delivers great images. Plus, it’s 3D ready and does accommodate HD video, although the image quality from these sources suffers a bit. Useable Video: The Sharp PG-LX2000 displays video from a variety of sources, and the HDMI connection makes it possible to hook up a Bluray player. Yet, it is an XGA resolution (1024×768) projector, and as such, any HD video must be scaled to fit. In other words, this isn’t suitable for regular video use – a Full HD projector makes more sense – but video quality is OK for incorporating clips into presentations. Long Lamp Life: In standard operating mode, the PG-LX2000’s lamp achieves 3,000 hours or life, and it jumps up to 5,000 hours in economy mode. What’s more: The PG-LX2000’s replacement lamp and module – Part No. AN-LX20P – costs about $200, keeping maintenance costs low. Contrast Ratio, Brightness Rating: With a contrast ratio of 2,000:1 and 2,800 lumens of brightness, the PG-LX2000 is right in the middle of the pack for similarly priced projectors released in 2012. Yet, the image is bright enough to handle spaces with ambient light, like a boardroom or classroom, and the contrast provides great black-and-white clarity. 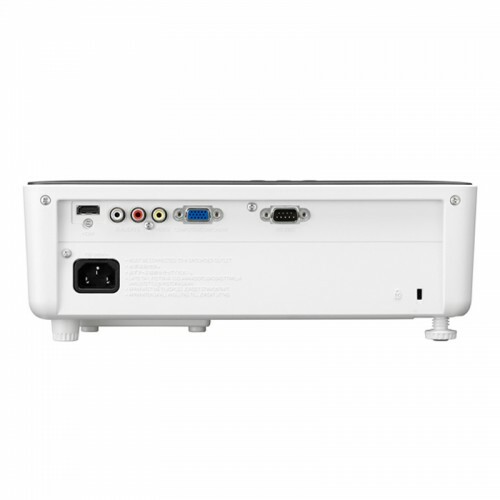 Thus, for multimedia presentations and the occasional video, the projector is more than capable. Low-Quality Audio: The projector is equipped with a 2-watt built-in mono-speaker. Unfortunately, that leaves a lot to be desired. The audio works nicely in quiet environments like the board room. But in noisier spaces, like a classroom full of kids, the audio just doesn’t cut it. Plus, the projector doesn’t have an external audio jack, so external audio must be synched with an external audio player. Dated Design: The PG-LX2000 is boxy in shape. It’s a little clunky, and almost resembles an original Nintendo hardware system. Fortunately, the projector is lightweight at just 5 pounds, and is thus, extremely portable. That’s OK though, as the look of the projector isn’t often at the top of business’s and school’s list of priorities. If you need a workhorse data projector for in-class or business presentations, the PG-LX2000 is a useful piece of hardware. What it lacks in advanced features, the projector makes up for in data image quality, lamp life and price. Compared to similarly priced projectors, the PG-LX2000 offers just a bit more in way of features – and even today, it’s worthy of consideration. For business or conference hall presentations, the Sharp XG-SV200X boasts a long list of presenter-ready features and a powerful output. In other words, it’s suited for those large conferences with hundreds of attendees. Since it was released in 2013, technology has improved a bit, so it’s lagging in a few ways – there’s only one HDMI and USB port, for instance. Yet, for projecting high-quality, large-scale data images, the Sharp XG-SV200X is more than capable in reliability and performance. Plus, the price – mostly available now through resellers, starting around $2,000 – makes this a quality investment that can transform a conference space. Brilliant Brightness: The SV200X is equipped with a 5,000-lumen bulb. That’s more than ideal for large conference spaces or lecture halls, providing substantial brightness and excellent image quality. The DLP-based projector has a native XGA resolution, and the SV200X is HD compatible with Sharp’s Brilliant Color technology. For presentations, that’s more than enough power to display clear and crisp images that are big enough for all attendees to see. Projection Flexibility: Once the front-mounted SV200X is installed, there’s flexibility to fit the image to the screen. Horizontal and vertical lens shift are standard features. Plus, the projector is equipped with a 2X optical zoom lens. What makes this extra special, though, is the Sharp’s optional motorized swivel mount. That enables the SV200X to turn 360 degrees via a remote control. Full List of Features: The SV200X does pull out most of the bells and whistles. Standard models are equipped with a 10-watt audio system, making high-turnover presentations easier. It’s 3D DLP ready, which is great for futuristic 3D presentations. And finally, the SV200X is also protected with Sharp’s signature anti-theft systems, which is an ideal feature for high-trafficked spaces. Short Lamp Life: With a 5,000-lumen bulb, the Sharp doesn’t have the greatest lamp performance. It’s rated at just 2,000 hours in eco mode, and 1,500 hours in standard mode. That’s, of course, in part to the system’s powerful output, but compared to newer DLP-based or LED projectors, it’s fairly limited and may add to the maintenance costs of owning this model. Fortunately, the Sharp XG-SV200X’s replacement lamps are affordable. 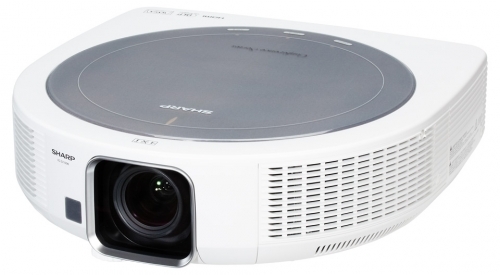 No WiFi Connectivity: Today, WiFi is becoming a standard feature in many of the higher-end projectors, and that’s one limitation of the SV200X. It doesn’t connect to the cloud, which can limit some of the flexibility for displaying web content. So is this projector right for you? For a system that’s now a couple of years old, the Sharp XG-SV200X packs in a ton of useful features and projects a bright, high-contrast image. That alone is what most presenters are looking for, and the few cons for this system are mostly negligible. In other words, it’s an ideal set-up for mid-size to large conference spaces.